With any luck, the myth of Patient Zero being responsible for HIV/AIDS in the US will finally be completely put to rest. Gaétan Dugas may not be a household name for most, but he’s the man who has largely been blamed for HIV/AIDS in the United States. Dugas was a gay French-Canadian airline steward who worked for Air Canada in the 1970s and 1980s. Because his work involved a significant amount of travel and because of the number of his sexual contacts, a 1984 study linked him to some other early cases (though it could not necessarily prove a direct line of infection). 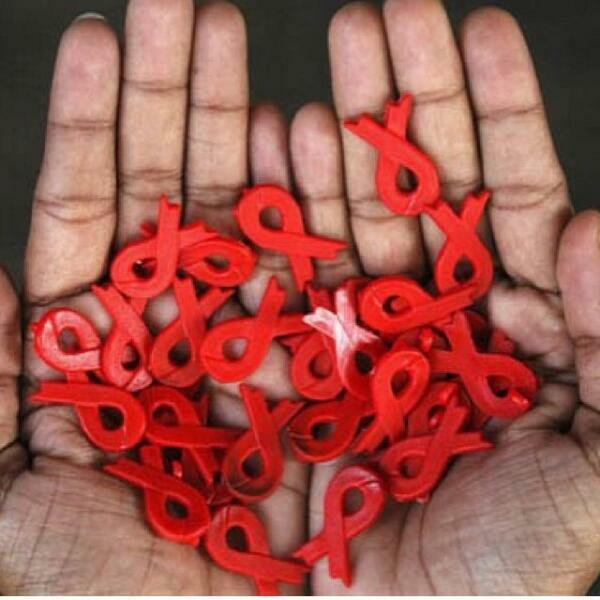 Sunday, December 1st was World AIDS Day, the annual reminder of the state of the epidemic, a way to focus attention on a problem that is perhaps less visible than it was two or three years but not defeated, not by a long shot. To that end, this week, the Global Fund to Fight AIDS, TB, and Malaria will be convening its fourth replenishment conference in Washington, DC, where it is seeking $15 billion for the next three years. Recall, in 2011 , the Global Fund canceled its 11th funding round in the midst of the global economic crisis and concerns about some millions of the Global Fund’s multi-billion dollar portfolio having been misappropriated by recipients. Its then leader Michel Kazatchine resigned in 2012 in the face of board contestation over his role. Since then, the Global Fund has undergone a major reorganization, and Dr. Mark Dybul, the former head of PEPFAR, was appointed in late 2012 as the new executive director of the Global Fund. Both the disease and the Fund have maintained something of a low profile, at least compared to heady days of the mid-2000s at the height of public and political awareness of the cause. So, where do things stand with the epidemic, and will the Global Fund likely have a successful replenishment conference this week? Forty years ago, Anthony Downs documented how issues go up and down the attention cycle, that public attention to domestic problems is ephemeral, issues come and go in the public consciousness even before they are ever fully addressed. That is also true of the international arena. The global AIDS epidemic has peaked as a news story, but the problem has not gone away. There is no vaccine for AIDS, though there are some tantalizing approaches like the early deployment of AIDS treatment drugs to break the chain of transmission that advocates hope will help reduce the number of new infections dramatically. While issue attention has slipped like a lot of other issues that come and go, AIDS benefits from a set of institutional and financial commitments that were established in the 2000s that did not go away even during the dark days of the global financial crisis. World AIDS Day is a time to take stock of the state of the epidemic, and UNAIDS and the Global Fund usually use the occasion to put their best foot forward, to highlight the successes of their organizations in the effort to address the pandemic but to also remind the public and the policy community that the work is far from done. This year is no different. UNAIDS put out an infographic that seeks to document the story of expanded access to treatment, declining numbers of new infections (more than 30% since 2001) , particularly among children (down more than 50% since 2001), and a 30% decline in mortality worldwide since 2004. From 1.3 million with access to treatment in 2005, UNAIDS estimates that some 9.7 million people in low- and middle-income countries had access in 2012. The results show that 6.1 million people living with HIV were receiving antiretroviral therapy under programs supported by the Global Fund by the end of 2013, up from 5.3 million six months ago and from 4.2 million at the end of 2012. While these results are encouraging and on some level an incredible accomplishment, given how few people received access to treatment more than a decade ago, that coverage is far from complete. UNAIDS estimated that there are still some 28 million people needing treating worldwide, that coverage only extends to 34% of the people who need it. Some 70% of those living with HIV are concentrated in Africa. Moreover, the declining number of new infections and mortality still means that the ranks of those needing life-long treatment continue to swell. 2.3 million new infections and 1.6 million deaths are too many on both accounts. A critical mass of epidemiological intelligence is revolutionizing our understanding of HIV, providing the global health community with an opportunity to laser-guide the right health interventions to the right populations. 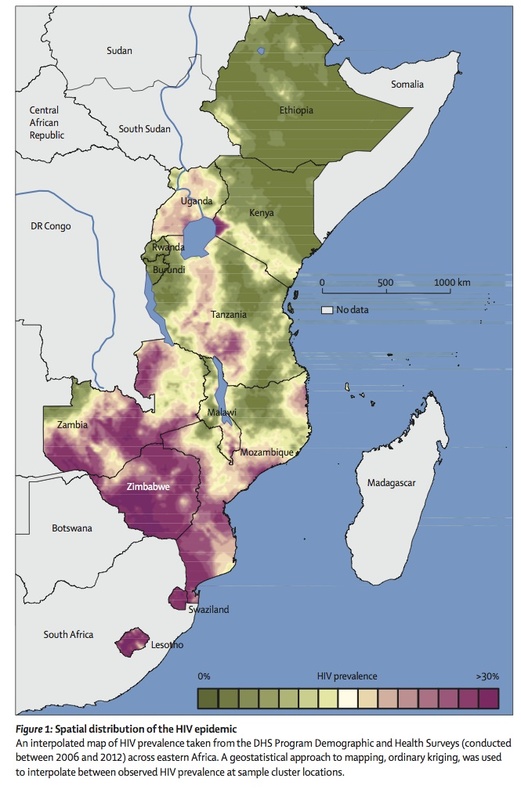 Geographical and epidemiological mapping is suggesting that HIV is being pushed into concentrated pockets amid a sea of much lower levels of infection….Using this data, ministers of health and finance, heads of state, development partners and civil society leaders are working in close partnership to structure interventions around the foci of transmission to maximize health investments. There is some evidence to suggest that about a dozen countries in Africa have reached the tipping point where treatment access is expanding faster than the number of new infections, but whether those advances will continue depend on donors staying the course on treatment and doing better on prevention going forward. Will the Global Fund Get its $15 Billion? Whether the Global Fund gets the resources its has asked for depends in part on the leadership on display this week in Washington. The Obama Administration is hosting this replenishment meeting, and an American now sits at the helm of the organization. So, whatever the problems in U.S. appropriations, I feel pretty confident that the U.S. government will try to make a good showing this week. By law, the U.S. government is constrained in contributing more than 1/3 of the resources to the Global Fund. That would mean a $5 billion contribution by the United States. The FY 2014 budget request from the Obama Administration was for $1.65 billion, a 27% increase of $350 million over FY 2012 levels. If fully funded and sustained over three years, that would be just shy of the $5 billion contribution. The UK has committed to give £1 billion to the Global Fund over the next 3 years so long as others join us in ensuring it meets its target of $15 billion and our contribution is 10% of the total replenishment. So, chances are that the replenishment meeting will be a success this week and net the organization considerable new funds (though one reminder of the 2011 troubles was the report that two leading makers of anti-malarial bednets were suspended for contracts from the Global Fund for kickbacks to the Cambodian government for contracts). Whether those new resources are ultimately translated into successful programs on the ground will be the great test of Dybul’s leadership in the years to come. With the Oscars fast approaching, one documentary How to Survive a Plague is a likely winner (though may lose out to my second favorite documentary of the year Searching for Sugar Man). How to Survive a Plague is, as I described in my earlier review, an emotionally redolent account of ACT UP’s mobilization to move the U.S. government and the pharmaceuticals industry to bring life-extending AIDS drugs from the labs to market and into bodies. Josh Barro makes the case that the reason why ACT UP succeeded is because they made concrete demands, which echoes the argument Ethan Kapstein and I make in our forthcoming book on global AIDS treatment advocacy, AIDS Drugs for All: Social Movements and Market Transformations, available this fall from Cambridge University Press. There has been some good news. 8 million of the 15 million people thought sick enough to need treatment now have it, up from 200,000 in the early 2000s. New infections of HIV and deaths from AIDS have dropped significantly in a number of countries. Some like Botswana have even crossed the “tipping point” when those starting treatment exceeds those dying from AIDS. Moreover, the financial crisis notwithstanding, the level of funding to support AIDS treatment remained at high levels. There was a dip in disbursements in 2010 but the drop off was not as steep as some feared. I am putting the finishing touches on a new book manuscript on social movements and market transformations with my co-author Ethan Kapstein. In the process of researching that book which focuses on the global AIDS treatment advocacy movement, we tried to get our hands on any relevant material. We became aware of two important documentaries that have just been released, one is David France’s How to Survive a Plague which captures ACT UP’s mobilization for AIDS treatment in the United States in the 1980s and 1990s. The other is Dylan Mohan Gray’s Fire in the Blood, which covers the global movement for AIDS treatment access of the early 2000s. I had an opportunity to screen both films, and here is my review of How to Survive a Plague. 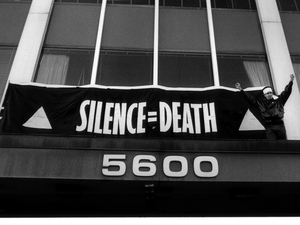 ACT UP (AIDS Coalition to Unleash Power) emerged on the scene in the 1980s at the height of the AIDS crisis in the United States and other rich countries. ACT UP embraced an anti-establishment ethos, staging occupations of governments offices, hospitals, drug companies, even church services with aggressive in your face tactics that drew in the media and brought gay rights and the AIDS epidemic front and center to the nation’s attention. But as much as ACT UP relied on shock tactics, they also took it upon themselves to learn the biology of the virus and how the process of drug testing and development worked. At the time, the gay community, one of those most affected by this disease, was deeply stigmatized and faced widespread discrimination. Partners of those living with and dying of HIV and AIDS lacked visitation rights at hospitals and often were kicked out of housing if their lover died. 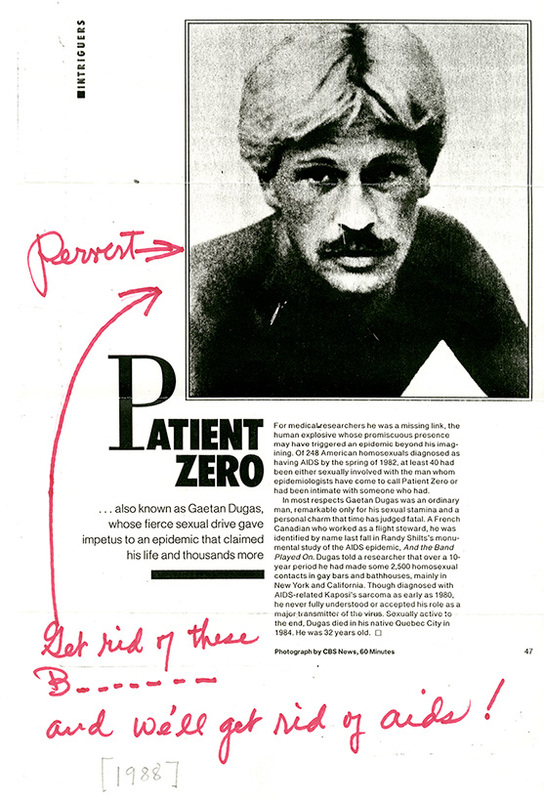 Until the realization in the mid 1980s that AZT, a drug once meant to fight cancer, could slow the progress of the disease, HIV was a death sentence accompanied by a variety of horrific opportunistic infections as the disease moved inexorably forward to its bitter end, with lesions and cancers that would gradually rob the body of its mass and vigor as those afflicted with it wasted away to skeletal figures. In the face of this trauma that would kill hundreds of thousands, a shell-shocked gay community and supporters mobilized with the movement that began in New York, spreading to other cities and internationally. “Act Up Fight Back” became the movement’s rallying cry and helped provide purpose for those fighting the AIDS epidemic as they sought greater attention, resources, and swifter delivery of drugs to treat the disease. How to Survive a Plague vividly captures a period in American history just long enough ago that people in their early forties and younger might not have an appreciation for what it was like for a community to face both systemic discrimination and a devastating disease. I was struck by how self-aware the community of activists who fought the AIDS crisis were in documenting their struggle through video. Many if not all actions were accompanied by videographers, whether it be Catholic church services where activists disrupted Mass or the wrapping of Senator Jesse Helms’ Washington house with a gigantic condom. The director David France’s achievement is to make that material, collected over the past two decades, accessible to an audience too young or unaware to have known the scene. For those who lived through it and know the players or the wider arc of the disease, the film surely has a different poignant resonance as they look back on lost loves and their own past (Andrew Sullivan’s remembrance is one of my favorites). Beyond the archive material of public protest, there are private moments and footage of a number of key figures in ACT UP like Peter Staley, Marc Harrington, Ray Navarro, David Barr, Jim Eigo, Bob Rafsky, Ann Northrop, many of whom have gone on to do other things and others who are now dead. For those who do not know at the outset who is still alive today, the film purposefully builds a dramatic narrative, holding back contemporary interviews with a number of players in the back half of the film, revealing their disparate fates. That reveal is cathartic both for the viewer and those interviewed. When we first see these men and women, the architects of ACT UP, most of them are in their twenties and thirties with the flush of youthful good looks and energy about them. By the time we arrive at the end of the film, we have witnessed in some cases footage of the physical and psychological toll the disease has taken. Or we see the activists now middle aged, craggy with the enormity of what they experienced visible in their demeanor. In those interviews, the activists have a chance to look back on their past, and the weight of memory is profound for them and us as audience. The nature of the disputes that rent ACT UP have much to do with the mainstreaming and taming of the movement as it grappled with a system initially deemed hostile to it but ultimately one that could gradually accommodate them. The Centers for Disease Control (CDC), the National Institutes of Health (NIH), and to some extent drug companies like Merck became more willing partners to move the scientific process of drug discovery and testing along to get therapies available faster as ACT UP demanded. This increasing coziness of some in the movement, especially the T&D Committee (or Treatment and Data), to government and business ultimately became a strong enough rift for some of them to break off and form their own organization, the Treatment Action Group (TAG). Other divisions, that perhaps get less coverage here than they have in academic circles, is the fault line between those HIV positive, many of them white gay men, and allies, some of them lesbians, who tried to bring attention to wider sets of social issues facing the community of those living with HIV. For those living with HIV, the emphasis was largely on getting drugs into bodies. For others, issues like discrimination, both gender and racial, demanded more attention. The film, with its focus on those who sought an accommodation with CDC and NIH, perhaps implicitly sides with that group and they are an incredibly sympathetic bunch. That said, there are important stories to be told about how advocacy for women also brought attention to how both the science and the movement focused on the needs of men, until women helped bring attention to a variety of symptoms and ailments that were AIDS-related but were not initially classified as such. I was struck by the change in activists’ tactics as those who had been among the most vigorous supporters of swift roll-out and clinical trials of drugs began, after initial failures of some early drugs like ddI, to encourage more caution and time as the drugs that would ultimately offer a breakthrough, protease inhibitors, started to be developed. I still wonder what the activists think now about their early efforts and whether they were useful, looking back on that earlier period. The opponents of action like arch-conservative Senator Jesse Helms of North Carolina are captured in all their vitriol. Helms is observed decrying those suffering from AIDS from having brought the disease upon themselves for engaging in unnatural acts. While this early ugly legacy is there, Helms’ later embrace of AIDS treatment globally is not, given the emphasis on the American epidemic. The footage in this film is understandably largely New York-centric, and there were other cities with vibrant ACT UP scenes, both in the United States and abroad. The ACT UP Oral Archive has interviews with many other figures from the scene, and another film on the subject, United in Anger, is also set to be released this fall. These minor reservations aside, I found How to Survive a Plague emotionally resonant and evocative. I was in my early teens at the time, living in Texas, scarcely aware of ACT UP and the wider AIDS crisis. My interest in the subject came about in the late 1990s, just as the global scope of the AIDS crisis became apparent. While I had heard of ACT UP, the film makes you feel present in the vibrancy and sorrow of the period that only a video medium can. The film is going in to wider release this fall, and I encourage you to see it.